Saute the mushrooms in olive oil for 5-7 minutes. Add minced garlic. 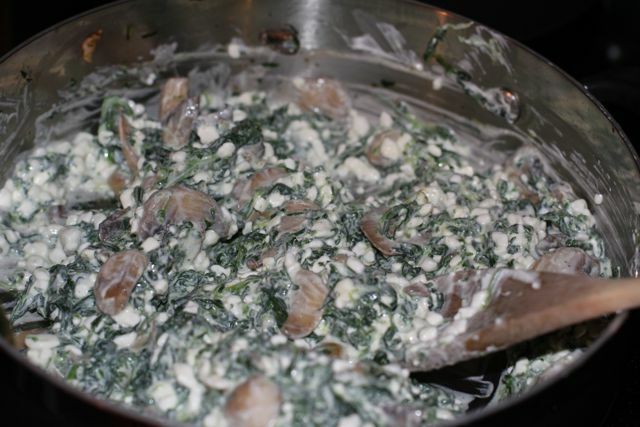 Stir in spinach and cook for another 3-5 minutes. 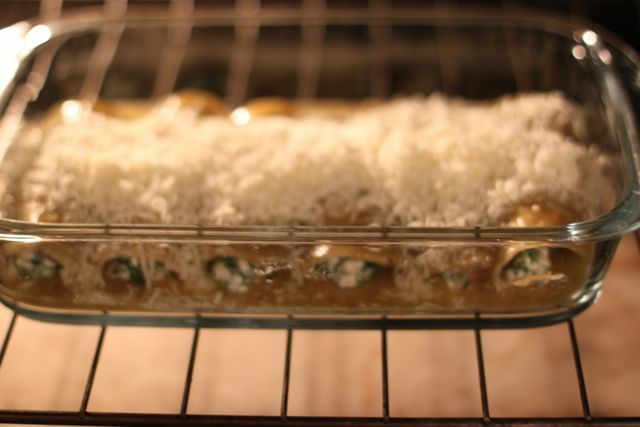 Remove from heat and add the sour cream, cottage cheese, and a handful or so of Monterey Jack cheese. Top with the remainder of the cheese. Cook at 375 degrees for 20 minutes or until bubbly. This was a decent meal or 3 meals as it turned out for me! I’m not a huge cottage cheese fan but I’m trying to expand my horizons. Of course, since it was green, no one else really wanted to try it. 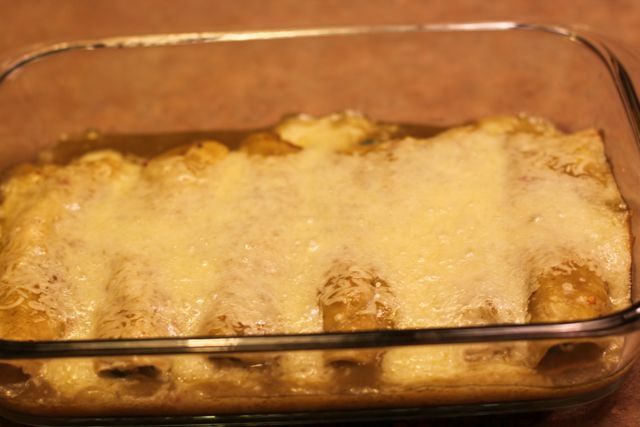 Lucky for them, I made them a chicken enchilada batch with their favorite red sauce. 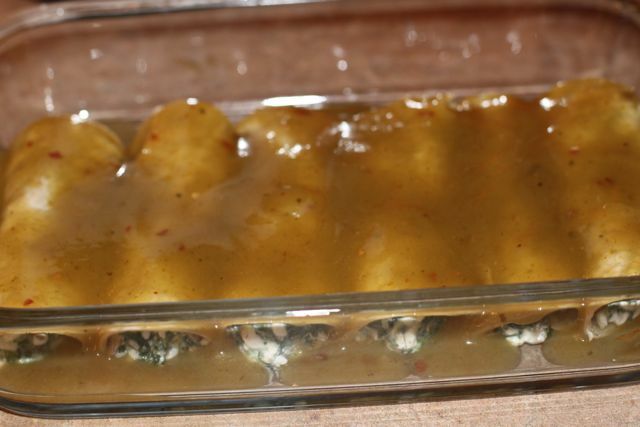 I have never tried the green enchilda sauce before. What does it taste like? Is it hot and spicy or mild? These sound really good but am hesitant because of the green sauce (though would like to try the green sauce). I think it is more of a medium flavored sauce! I don’t see spinach on the ingredient list. How much do you use? These look really good.